When homeowners put their trust into a real estate agent, they expect reliability. 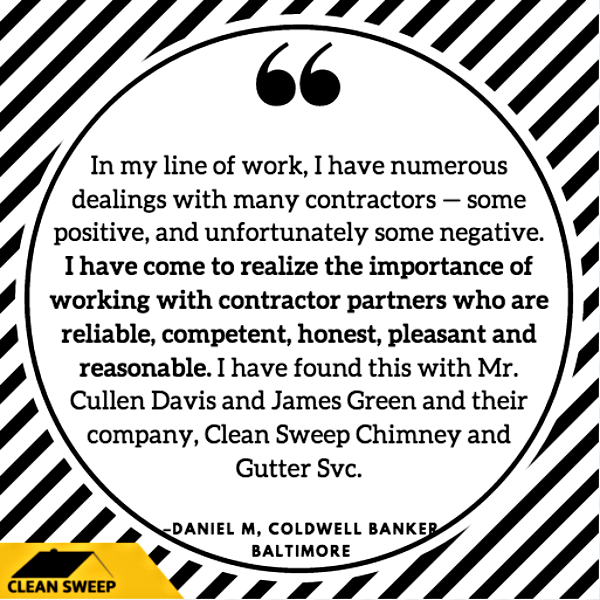 When Baltimore’s best real estate agents need reliability, they put their trust in Clean Sweep. There is nothing as frustrating as losing a buyer because of a delayed inspection, especially during a strong spring housing market. We take pride in conducting various timely inspections to maximize the safety within properties and prepare them to sell, all the while educating realtors about the dangerous environments that can contribute to an unhealthy home. Dirty chimneys can lead to fires. No potential buyer wants to picture their future home sweet home catching fire. 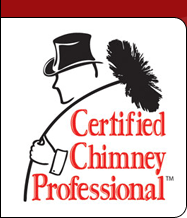 Our comprehensive 12-point chimney inspection checklist was put into place to put minds at ease and keep families and their homes out of harm’s way. Our trained technicians will deliver a clear, honest and transparent analysis of our findings to you within 24 hours. In the event that further work is required, we offer it at an honest and equitable price – every time – regardless of the purchase price of the home. April Showers Bring… Clogged May Gutters? 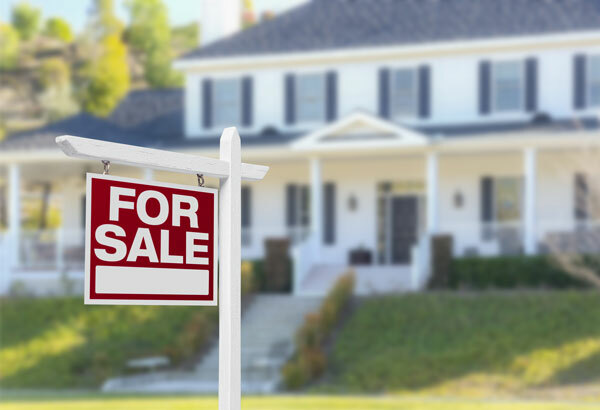 If you are a realtor, you are no stranger to the concept of curb appeal. If you want to get interested buyers inside, you have to lure them from the outside. Gutters that are clogged with winter debris will overflow at the hands of spring showers, attracting pests and causing potential (and extremely costly) damage to the foundation of the home. New homeowners can’t be expected to know everything. We can’t tell you how many times we encounter homeowners who lack knowledge of the dangers associated with neglecting duct and vent cleaning. Unfortunately, many homeowners find out the hard way, after they have experienced an avoidable dryer fire or broken the bank paying costly utility bills. Duct and vent cleaning is essential for increasing fire safety, improving air quality, reducing utility costs and eliminating mold, debris and bacteria from the home. New homeowners can’t be expected to know everything. We can’t tell you how many times we encounter homeowners who lack knowledge of the dangers associated with neglecting duct and vent cleaning. Unfortunately, many homeowners find out the hard way, after they have experienced an avoidable dryer fire or broken the bank paying costly utility bills. Duct and vent cleaning is essential for increasing fire safety, improving air quality, reducing utility costs and eliminating mold, debris and bacteria from the home. Give us a call today to learn more about how we help Baltimore’s busiest real agents stay on top.